A girl can never have too many fragrances, right? 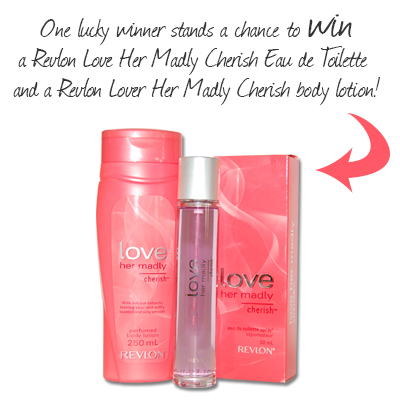 In today’s Friday freebie, one lucky reader will win a 50ml Revlon Love Her Madly Cherish Eau de Toilette and a 250ml Revlon Love Her Madly Cherish Perfumed Body Lotion. Answer the question below and submit your details before 3:30pm today to stand a chance at winning.